Prime movers in the establishment of the AFTCA, H.D. 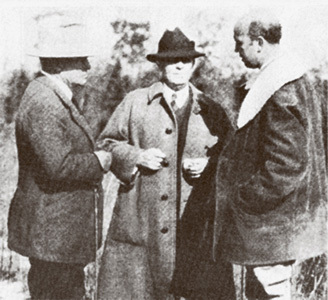 Kirkover, Samuel G. Allen and Ray Hoagland. The association known as The Amateur Field Trial Clubs of America, Inc. enters its centennial year in 2017, having expanded its mission since inception to include a broad base of objectives and functions, as the field trial sport and the organization have evolved. The increasing popularity of field trials at the amateur level around the turn of the last century had established the need for a unified structure within which to coordinate the many aspects and details of the sport. The idea to form a coalition of clubs, a parent organization under whose aegis amateur field trials might be conducted according to specific standards and guidelines, had been considered from various angles by prominent sportsmen for some time before the concept was formalized. At a meeting of key field patrons in 1917, the Amateur Field Trial Clubs of America was established for that purpose and so named. Officers were elected, and by laws and running rules were drafted and adopted, many of which are still in effect today. The membership of certain clubs had been pledged by delegates present at the initial meeting to launch the organization, and others were invited to join. At the conclusion of the first official season, dogs qualified for national competition were named, and certificates were issued. The inaugural running of the National Amateur Championship in Thomasville, NC in 1918 produced the organization’s first national champion, a setter called Fairy Beau. It was not long before the AFTCA began to grow into the vision of its founders. Though the five original member clubs ran primarily on grounds in the eastern US, all clubs promoting trials for amateur handlers were eligible to join, and the demographics expanded as the idea took hold. Within ten years, the organization had subdivided its membership into six regions, encompassing New England, the Middle Atlantic, Southeastern, Central, Midwestern and Southern states. By 1930, there were 38 member clubs. Fairy Beau, winner of the first National Amateur Championship. J. Horace Lytle, Secretary-Treasurer of the AFTCA from 1926 - 1930. 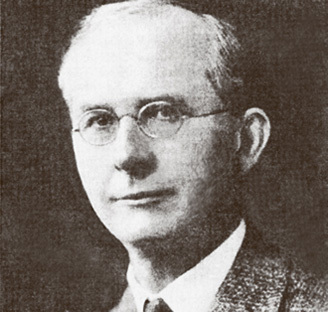 Dr. P. K. Phillips, Secretary-Treasurer of the AFTCA from 1930 - 1941. 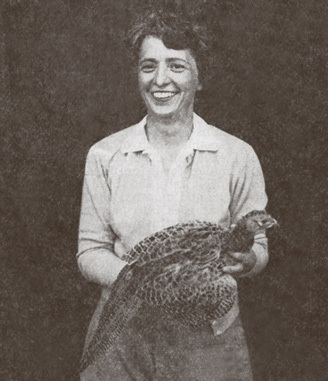 Leslie Anderson, shown here at the 1956 National Amateur Pheasant Championship, was Secretary-Treasurer of the AFTCA for many years succeeding Mrs. Mary Margaret Phillips who took on the position after her husband’s untimely death. 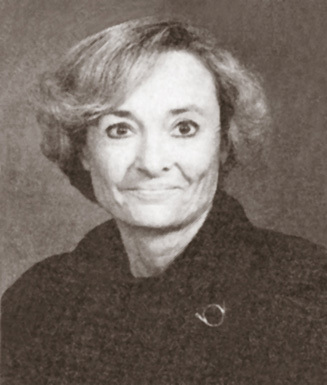 Following the retirement of Leslie Anderson, Linda Hunt became AFTCA Secretary from 1990 until 2012. She was followed by the current Secretary, Piper Huffman. The National Amateur (Quail) Championship was hailed as the pinnacle showcase of fine amateur dogs, the annual crowning event of the competitive season. As such, it was of great interest to the keenest of sportsmen and women, who had followed the performances of notable dogs throughout the year. But Championship honors were withheld at the second renewal, and after several such incidents the running rules for field trials were changed to mandate the naming of a champion at any titular event, leaving the selection of a runner-up to judicial discretion. Inevitably, as widespread clubs ran dogs on local game, over more varied types of grounds and under differing geographical conditions, interests led to proving their abilities at the higher levels. The National Amateur Pheasant Championship commenced in 1933 in New York state, later moving to Ohio. The AFTCA helped attract new growth for the organization and met increasing demands of its members by making a provision for regional championships in 1937, and eventually introduced national events featuring other upland birds on their native venues. 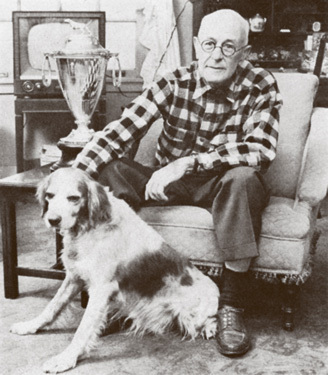 The National Amateur (Quail) Shooting Dog Championship appeared on the schedule in 1952 in Hernando, Mississippi. The National Amateur Pheasant Shooting Dog Championship was established in 1958 and the National Amateur Chicken Championship was first presented on the Canadian prairies in the mid-60s. National amateur championships on different game birds throughout the country were added for both all-age and shooting dogs to complete the present roster of 16. The addition of regional championships, though enthusiastically met by the field trial world, was not without its share of administrative headaches. Seven regions had been devised to cover the existing memberships, and two more were later added to include the Pacific Coast and Southwest areas. Reports of disorder filtered in. To avoid compromising the integrity of its mission, the association sought and achieved an agreement with The American Field to officially recognize only those amateur championships sponsored by the AFTCA. This had the effect of plugging the dike temporarily. While regional championships provided the anticipated boost to membership and participation, the issues that plagued the administration continued to increase exponentially as the number of new clubs and new trials grew. Without a strict system of controlling the conduct of all field trials under its jurisdiction, and a means to enforce that system, the AFTCA faced unrest and internal conflict. Clearly, a universal code of rules and requirements was needed to maintain discipline within the sport and ensure the high competitive standards endorsed by the AFTCA. To resolve the situation, the organization turned again to The American Field. Over the next few years, leading field trial authorities worked with The American Field to bring this project into alignment. The original running rules for field trials were suitably modified and the Minimum Requirements, a basic code for the conduct of field trials, was mutually authored and adopted to govern all field trials. Under the partnership, it was agreed that The American Field would be the enforcing agency, having dominion over classifications and definitions of stakes. The AFTCA, with the cooperation of The American Field, would be the governing body for ALL field trials. The 1945 Christmas edition of The Field presented the Minimum Requirements in entirety, and announced that, effective January 1, 1946, no winners would henceforth be recognized in any trial that did not fully meet the requirements. This alliance greatly enhanced the national prestige and importance of the AFTCA. With the framework of the Minimum Requirements in place, there was still a need to coordinate, delineate and define the many, often subjective, methods and terminologies particular to the sport. To this effect, the independently written first edition of Standards of Judicial Practice and Field Trial Procedure went to press in 1948. The handbook, a consensus of opinions by a coterie of prominent experts, was presented as a source of guidelines separate from and subject to the by laws and running rules of the AFTCA. Though the booklet did not receive early approval from the regulatory board, and was considered neither official nor binding, it was eventually endorsed and continues to serve the sport in its revised form today. This was still the era of prolific wild bird populations and generous country on which the best dogs might display their style, class and hunting prowess. In pursuit of its ongoing quest to improve the quality of pointing breeds through standardized field trial competition, the AFTCA depended heavily upon the continued availability of wild game and good grounds. As the administration adjusted to the needs of growth and change within the sport, it recognized the importance of protecting these resources. In 1948 a new corporate charter brought this concern more clearly into perspective, with the further benefit that it absolved the association of outstanding income tax liabilities and provided a tax exempt status going forward. Written under advantageous laws of the District of Columbia, the new charter designated the AFTCA henceforth as a conservation organization. A broad undertaking, indeed! But one on which the future of the organization might solidly depend. The tax incentive offered by the new charter would encourage more active donor participation and would release from taxation revenues that could now be directed toward the newly stated purpose. By assuming responsibility for the promotion and protection of wild bird habitat as field trial grounds, by means specific to the charter, the AFTCA took a major step towards securing the field trial legacy for coming generations. The conservation effort was implemented at all levels of the organization, primarily in securing and maintaining suitable grounds for running field trials. Some superior grounds were obtained; others were unavoidably lost. Yet the AFTCA and its affiliated clubs, reliant upon the largesse of its members, continued to operate on a limited budget. In 1986 The Twentieth Century Fund was conceived and promoted as a fundraising incentive to relieve the financial pressures that still burdened the organization. Once free of those restrictions, the administration could move ahead with internal development and modernization, have funds available to obtain and/or manage more grounds and better implement programs to stimulate interest in and support for field trials. Looking back over its progress at the hundred year mark, having not only endured but prevailed as the executive body of the sport, the AFTCA and its membership can reflect proudly on its history. From those five initial clubs, the organization now comprises some 400 clubs spread over 18 geographical regions. Sixteen annual National Amateur Championships keep field trailers on a busy circuit that starts with the local qualifying trials and moves on to a full schedule of regional stakes. The success of the AFTCA is a testament to forethought of its founders and the dedication of its leaders over ten decades of devotion to the betterment of field trials and pointing dogs. 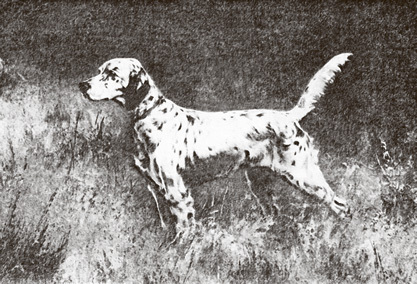 One needs only to look at the modern pointing dog to see that the early and ongoing mission of improving the breeds has done just that, for many of the top field trial lines have derived from amateur kennels and the effect of their excellence is felt not only within the sport but undoubtedly can be seen in the hunting field as well. The conservation effort faces many challenges today, as the availability of wild birds and suitable running grounds has forced some concessions upon the sport. Much has changed since this aspect of the organization’s function was first brought to the table. Yet even as some important venues have been lost, exciting initiatives have been taken to procure and improve others. At the hundred-year mark, the AFTCA enjoys strong leadership, vigorous participation and the generous support of its members. With its legacy intact and thriving, it stands poised to go forward and invites new members to join in protecting and promoting the sport of pointing dog field trials for future generations.